From the coast to the mountains, Margot McGovern seeks the nation’s top routes for picturesque pedalling. Australia is home to some of the world’s most spectacular and diverse landscapes: sunbaked ochre desert, lush tropical rainforest, snowcapped alpine ranges and pristine coastline. Our diverse native flora and fauna makes Australia unlike any other place in the world. And what better way to discover these natural treasures than by bike? From leisurely trundles along Australia’s great rail trails to challenging multi-day odysseys, we asked you, our readers: what are Australia’s most scenic rides? Among your responses were many old favourites: the Great Ocean Road and South Australia’s Mawson Trail were overwhelmingly popular, with Bright and the Victorian High Country, Hobart’s North South Track and Western Australia’s Munda Biddi Trail not far behind. But there were surprises too, with many riders sharing stunning, self-devised commutes and loop rides. The list below is a selection of the most popular rides in each state and territory, with a few lesser-known gems thrown in. Get away from the urban crush with this punchy loop in Sydney’s north taking in the native flora of Ku Ring Gai Chase National Park and sweeping views of the Pacific Ocean, Pittwater and Palm Beach. Winding through the unspoilt wilderness from Jindabyne to the Victorian border (where it becomes the Snowy River Road), Barry Way offers spectacular views of the Snowy River Valley and the Australian alps. The first 27km of the ride is on bitumen, then unsealed track from Ingebirah Gap. Starting from Rathdowney on the Queensland side of the border, the Lions Road loop travels through serene rainforest teeming with birdlife and offers views of the towering climbs to come. Take a big gulp of mainland Australia’s east coast on an epic adventure traversing hill and dale, river and harbour as you travel north from Sydney to Forster via Gosford and Newcastle. Easily accessible from Alice Springs, and meandering from Flynn’s Grave to Simpsons Gap through desert bushland, the Simpsons Gap Bike Path offers riders of all abilities a taste of the Red Centre. A tropical odyssey through Australia’s far north taking in native rainforest, mountain ranges and pristine coastline, this is one for the well-seasoned bike tourer. For a taste, try the shorter 65km coastal leg along the Cook Highway from Cairns to Port Douglas. Held annually, Cycle Queensland is a fully supported multi-day ride exploring a different region of the sunshine state each year. 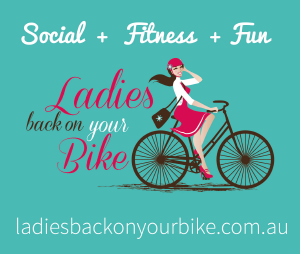 In 2016 the ride starts in Woodford and cruises up to Hervey Bay. The second event in the newly-expanded Peaks Challenge Series, this one-day ride heads up Mount Tamborine and the Beechmont, Springbrook, Natural Bridge and Tomewin climbs to showcase some of Australia’s most spectacular scenery – but with over 4,000km of vertical climbing and a 12 hour deadline, riders have to work hard to earn the views. Each spring Bike SA selects a different region of South Australia to explore for its Annual Tour. Stretching from the outskirts of Adelaide to Blinman in the Flinders Rangers, the Mawson Trail traverses forest and farmland before delving into the outback on an epic, diverse journey through the heart of SA. Bike South Australia runs a biannual Outback Odyssey, giving riders the opportunity to conquer the trail as part of a supported ride. Read Ride On’s experience of the 2015 ride. A ‘lumpy’ ride with 2,500 vertical metres of climbing from the 100km mark, this is one for keen roadies. Take in views of the Derwent River, Bruny Island and the hills of Wellington Park while giving the legs a thorough workout. Maria Island was declared a national park in 1972 and offers riders the chance to explore a truly remote landscape teeming with native flora and fauna. The island is accessible by plane and ferry, with basic accommodation available at Darlington, and campsites dotted throughout the island, but visitors must be self-sufficient. Whether you explore a small section or take an epic trip from St Helens down to Hobart, Tasmania’s spectacular east coast is a must for every serious bike tourer’s bucket list. Descending from The Springs halfway down Mount Wellington to Glenorchy, the North South Track winds through lush rainforest and unique rockscapes, offering riders sweeping views of Hobart, the Derwent River and Storm Bay. Climbing 245m in 3km, Arthurs Seat is one of Melbourne’s toughest, and most rewarding climbs. With each switchback you conquer, a little more of the Mornington Peninsula is visible through the surrounding bush, offering a sneak preview of the sweeping view that awaits at the top. Once home to the State Coal Mine, Gippsland’s Bass Coast has again become a site of natural beauty infused with historic interest. Take a leisurely cruise along coast flanked by booming surf and rolling farmland. Cross the historic trestle bridge over Bourne Creek and pass by stands of pine and wetlands teeming with native birdlife. Meandering through the lush forests of the Strzelecki Ranges, Grand Ridge Road is famed as one of Victoria’s most scenic roads. Mostly unpaved and serving little traffic, it’s an ideal way to discover Gippsland. For those seeking a less challenging ride, the 13km Grand Ridge Rail Trail beginning at Mirboo North is a great way to experience a taste of the region. Arguably Australia’s most famous coastal road, the Great Ocean Road is also the world’s largest War Memorial (it was built by returned soldiers following World War I). From breathtaking ocean views to the dense forest of the Otway Ranges to landmark sites, including the iconic Twelve Apostles, the Great Ocean Road takes in some of Australia’s most spectacular sights as it winds from Torquay to Allansford. In 2016 the RACV Great Victorian Bike Ride takes riders the full length with full support, including a campsite at the iconic Twelve Apostles. Look out across rolling vineyards to the hazy mountain ranges beyond, then climb through towering native forest and lush bushland to discover breathtaking hilltop vistas on a challenging loop ride showcasing the diverse beauty to be found north-east of Melbourne. Winding from Wangaratta to Bright, and taking in Rutherglen, Beechworth and Myrtleford along the way, the Murray to Mountains Rail Trail takes in snowcapped mountains, native forest and inviting riverbanks. Numerous side tracks branch off from the main trail taking riders off the beaten track for a truly unique tour of the region. Not for the faint-of-heart or the weak-of-leg, Mount Baw Baw is one of Victoria’s toughest climbs, reaching a 20% gradient at its steepest point. However, the lush native forest on either side of the road distracts from the pain and the view from the top is well worth the trip. For a detailed report on this ride, see p76-77. Victoria’s alpine region offers some of Australia’s most spectacular landscapes, as well as some of the nation’s most grueling ascents. Peaks Challenge Falls Creek offers riders the chance to tackle three of the region’s toughest climbs—Falls Creek, Mt Hotham and Tawonga Gap—in one go. Alternatively, pick up a 7 Peaks Alpine Ascent Challenge Passport and take all the time you need. Since 1984, the RACV Great Victorian Bike Ride has travelled around Victoria taking riders through some of the most spectacular landscapes the state has to offer, from the Great Ocean Road to the High Country. In 2016 the Great Vic explores the extraordinary, visiting the iconic destinations of the Grampians, the Twelve Apostles and the Great Ocean Road on 3, 5 and 9 day ride options. One for beach lovers, this is a scenic trundle along quiet roads taking in some of the highlights of the Rainbow Coast, including Princess Royal Harbour, Frenchman Bay, the Salmon Holes and the Blowholes. If you’re lucky you may even spot a whale or two frolicking off the shore. Stretching from Mundaring to Albany, the Munda Biddi is the world’s longest continuous bike path. It passes through an ever-changing landscape, from towering eucalypt forest to vibrant bushland teeming with flora and fauna not found anywhere else in the world. This entry was posted in Features, Latest, Motivation, Rides, Trending and tagged Akuna Bay, Arthurs Seat, Barry Way, Bass Coast rail Trail, bicycle touring, Bike SA Annual Tour, bike touring, Cairns, Cape York, Channel Highway, Cycle Queensland, cycle tourism, Frenchman Bay, Grand Ridge Road, Great Vic, Kinglake, Lions Road, Maria Island, Mawson Trail, Mount Baw Baw, munda biddi, Murray to Mountains Rail Trail, North-South Track, Peaks Challenge Falls Creek, peaks challenge gold coast, RACV Great Victorian Bike Ride, scenic bike rides, Simpsons Gap Bike Path, travel Australia. Bookmark the permalink. How could you miss the Goldfields Track, Ballarat to Bendigo via Daylesford and Castlemaine?? Off road, 150 or so km. mod. Spectacular goldfields, forest and rural scenery. Additional comment on Grand Ridge Road mentioned in Ride #17. I personally think it is better to commence this ride from Boolarra and end up at Mirboo North. There is a gradual gradient from Boolarra to Mirboo North and have to work a bit harder, but a better range of cafes and eateries at MN when you arrive there! One of the best trails in Victoria is the rail trail from Ballarat to Skipton 54km. all on a good track. Another trail is the Myrtleford rail trail. I don’t know any details except i think mostr if not all of it is sealed. Not very appealing rides that you have in Victoria besides the Falls Creek Challenge which is just an advertisement. Haha. Is that a reason to omit Mt Dandenong area all together? The routes that you have published contains area with poor local driver attitude (GOR) or poor serviced road (Mt Baw Baw and Arthur seat downhill). Many places in Melbourne are much more pleasant to ride if you seek out the back roads. The problem with your Healsville route is that the traffic in Christmas Hills are for the people who ride fast and can handle traffic. It contains single 80kmh zone lane with limited shoulder width. We normally ride the other direction at 40kmh to feel safe. You cannot ask anyone riding 25kmh and feel safe on that road. Also I will suggest the Old Healsville Road to Healsville to bypass the main road for same reason. There’s no link for the Sydney to Forster route? I was very disappointed to note the recommendation of route 19 Kangaroo Ground, Yarra Glen, Healesville, Kinglake loop. Having lived in Kinglake for many years and regularly returning to visit family still there, I feel very strongly that it is blatantly irresponsible to recommend that any cyclist ride the Heidelberg – Kinglake Road between Kinglake and St Andrews that this route requires. It is probably the most dangerous road within easy reach of Melbourne that a cyclist can tackle given that it is extremely narrow and carries a large volume of traffic. In many places it is barely wide enough for two cars to pass, adding cyclists into this is crazy. It is a miracle that no cyclist has been killed on this stretch. As a keen cyclist myself, this is one road that would wholly support a ban on cycling. It is simply not safe, and no amount of speed restrictions or road modifications is able to make it safe enough to ride. There are many magnificent rides in that area, but a little common sense needs to be exercised in selecting routes that can provide both a safe and enjoyable ride. I have ridden this road often over the years and you are right that it’s narrow and twisty etc, I cannot agree with you however that cars and bikes cannot safely use it together though. The courteous driver slows a little while an on coming car passes if the two cars and a cyclist would have otherwise all been abreast at the same point of road, and the courteous cyclist waves the following motorist through with the advantage of his/ her better angle of vision around the tighter corners. I disagree Daniel. This section of road is quite safe if you ride sensibly and know how to handle traffic. It can get a bit busy on weekends, but most drivers know that it is used regularly by cyclists and exercise appropriate caution. In NSW my favourite would be Jindabyne to Charlotte Pass the alpine scenery from Smiggins Holes up is unreal . I did this ride with Bike for Bibles. Second favourite in Narrabri to Bingara through Mt Kaputar. Also very scenic. Why doesn’t the ACT get a mention? The best 50km ride in Australia is around the lake and up Mt Stromlo! And there are eh Fitz’s Challenge routes. In NSW surely Jindabyne to Kosciuszko has to be mentioned and the climb up Mt Wellington should be on the Tasmania list. Yes. Canberra is apparently not a place where one would ever cycle. Am member of retirees cycling group. We have a group of approx 70 regular riders & organise weekly rides, 1 week base camps, individual groups of 6 – 8 are continually off by caravan or bike all around Aust. & o/s. e.g: Next week Barossa for 10 days followed by Cowra, Dubbo & so on. This list or rides will go into our records & be used! Thank you. Jim. Yep us too last winter. Love to have people like you and your group come to Albury-Wodonga for the Lake Hume Cycle Challenge (late Feb annually) and stop over doing town paths, various Rail Trails, country roads within 50-100 km radius. Can give you hints where to stay. Check out our website and facebook page. Should include Mansfield to Tallarook rail trail in Victoria 122km with a branch to Alexandria 13km, with other possible side rides, unsealed but good track, easy /moderate some hills. Also Orbost to Bairnsdale rail trail with many side rides possible 90+km Victoria, a little sealed mostly gravel. Very scenic rides on quiet road in NSW from Windsor to Wisemans Ferry along the Hawkesbury river 65km. Also extend to St Albans, Wisemans loop 42km, Spencer return 50km. moderate. So, 9 out of 25 of the most scenic rides in Austalia are in Victoria – and there isn’t a single scenic ride in the ACT. I guess I’ll have to move to Victoria or be content riding in the Brindabellas even though there isn’t much scenery. Wootton Way out of Buledelah, NSW north coast is beautiful,used to be called Buledelah Bends.An expressway now bypasses this original highway.It is in very good condition and used by local farmers only. Maybe you can make a list of the top 100 rides in Australia and make a few more people happy. I have a few from Brisbane – Nebo/Glorious, Mt Coot-Tha, Mt Mee, etc. Hi. Having cycled widely in Australia, SE Asia and Oceania, I agree with many of your selections. But Qld is underrepresented. Only 3 rides? And so many in Vic? It is so tiny! The annual Cairns to Karumba ride is excellent – possibly THE best – supported bike ride in Australia. Best unsupported? As you say, the Great Ocean Rd is amazing – world class – when the weather is cooperative. Cape to Cape 4-day MTB in Margaret River vicinity WA. Awesome ride. Wow you certainly haven’t included some of Victoria’s best: The Great Victorian Rail Trail Yea to Mansfield is the most cycle friendly trail and the South Gippsland from Bairnsdale to Orbost or push on the Cape Conran is a delight.